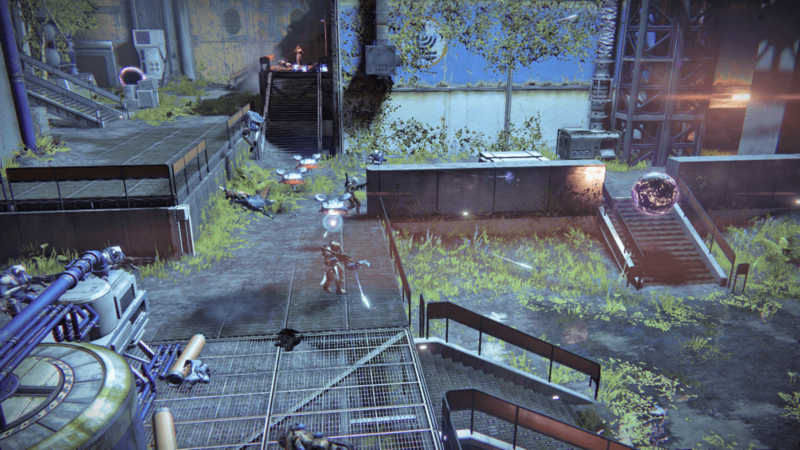 In Destiny, every Tuesday is the start of a new week. 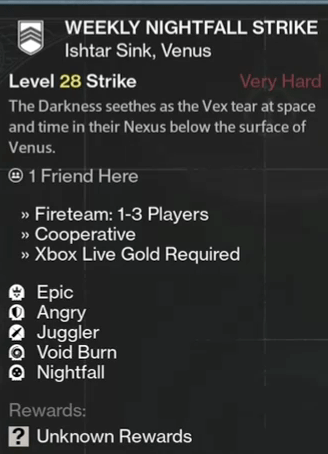 Each week there’s a new ‘Weekly’ Heroic and Nightfall Strike available, this week, The Nexus. During a Nightfall mission, if your entire Fireteam wipes, you are returned to orbit instantly. You only get one shot at these missions, so play smart! By completing the Weekly Nightfall Strike, you’ll receive an XP and Rep bonus until the weekly reset and blue flames for the duration of the bonus! 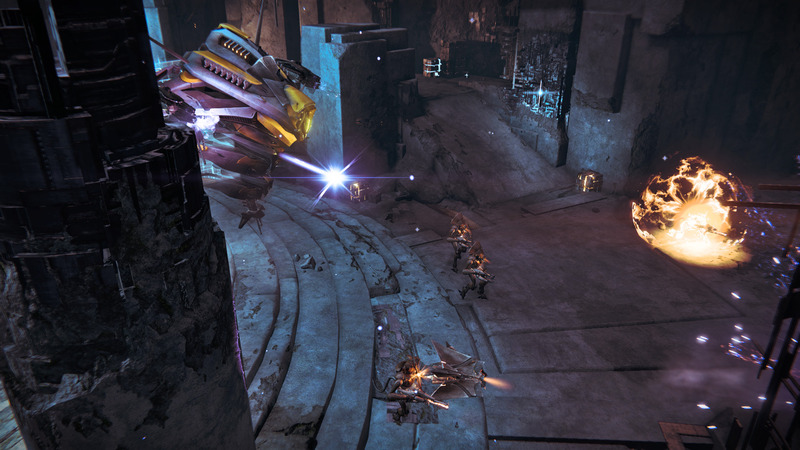 We suggest you tackle the Weekly Nightfall Strike first so you can get the extra XP/Rep for the Heroic. In the Heroic, enemies will appear in greater numbers and are more aggressive, but the Nightfall requires extreme caution and awareness. The Nightfall is especially dangerous, but thankfully there’s helpful members in the community such as Reddit user mykkenny. His guide is geared towards completing it solo, but the tips and strategies in the guide are still valid if you’ve got friends with you. Juggler – No ammo drops for your equipped weapon. Void Burn – Void damage from any source is greatly increased. Nightfall – You will face a relentless army that has never known defeat. If all players die, you will be returned to orbit. This week’s burn is Void, so break out Atheon’s Epilogue! If you don’t have that, any solar primary will also be useful (Vision of Confluence is best or Vex Mythoclast is okay) for taking out Shank shields. Other than that you want a good Void sniper, such as The Supremacy or Praedyth’s Revenge with an upgraded magazine size, and of course a Void heavy. Running through the battle where you spawn and heading downstairs you want to hang back in the doorway and shoot from there, it’s the best cover (I tend to strafe right into cover). The first pack always spawns from the left, then the second from the right. After that the servitor and their minion spawn order is random. Use your sniper to take out the Servitors and any yellow HP mobs or shanks, and mop up the rest with your primary. Do not get overconfident here, although nothing but the Servitors are dealing void damage there are a lot of enemies, some snipers too. 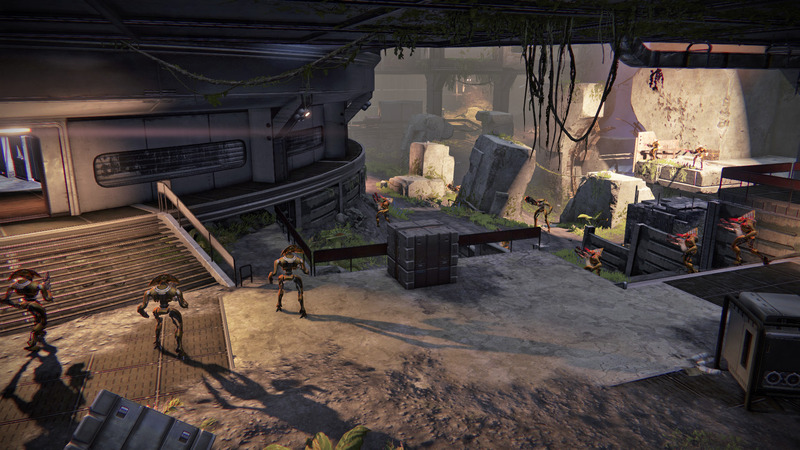 The yellow health Vandals fire relentlessly and you’ll soon go down if not careful. Patience as always is the key to soloing Nightfall. Once you’ve killed the Servitors and their minions some melee vandals will come down the stairs, take them at range and move up. You have two choices here. You can either clear the room at the top of the stairs from the doorway, or as you go up the second flight of stairs you can turn around and see a window up above you. It is possible to jump up there and through the window, skipping the room full of trash mobs. Be quick heading up the stairs to the right once through the window if you take this route as you will be being shot in all likelyhood. Whichever option you take, head on through the building until you go down the stairs to where some Fallen Dregs and a Vandal sit. 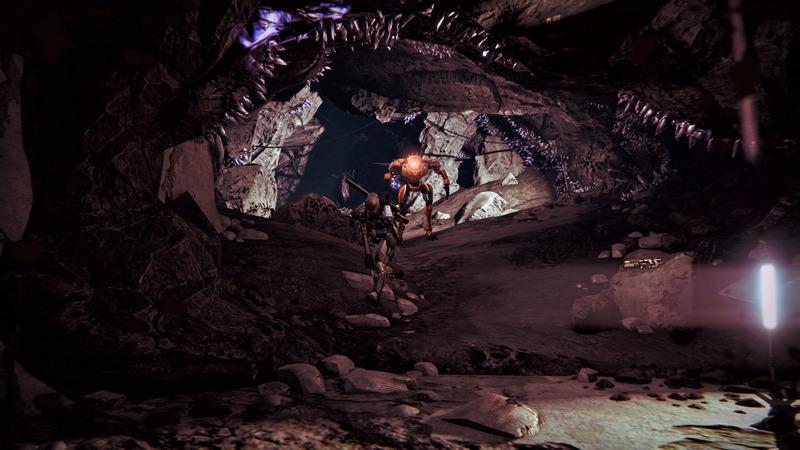 Take them out, and take out the next room with a Fallen/Vex battle is taking place. Head down some more stairs and take out the three harpies. Watch out for a yellow health Goblin appearing from the doorway to the right. He has a giant blaster weapon which is void and it hurts. I would advise going through the right doorway, take out the basic goblins with primary then peek out and snipe the two Hobgoblin snipers, two more yellow HP blaster Goblins (void blasters, be careful! ), two Praetorians (also void blasters) and a pack of regular Goblins. Once these are clear head down through the opening and watch for the pack immediately on the right, regular Goblins easily dispatched. A note regarding Praetorians and Minotaurs: Aim for the head. Unlike most Vex there is no weak spot to critically hit, but if you destroy their heads they cannot regenerate their shields. The downside is that they go berserk firing wildly and running at you, but as long as you do this with a sniper at range it isn’t a problem. Moving on through the tunnel there is one final pack of Goblins, again easily dispatched as long as you do it at range. Now, you face a decision again here. You can solo this boss, but finding a safe spot isn’t easy and because it’s void burn the boss hits like a ten ton truck, two direct hits is death, and even the splash damage isn’t pretty. I will outline how to solo it below. Once the final Goblin pack is killed, stand where they were at the entrance to the cave (don’t go to the ledge where the boss spawns) and get your friends in. They should have good void snipers and heavy weapons. What you do now is, enter the cave and look down at the boss room from the ledge. Two of you can snipe off the Minotaurs and Praetorians below, the third man stands further back with a heavy weapon and is the lookout for the Praetorian that will spawn behind you. When he appears, the lookout calls this and you all turn and kill it with heavy weapon fire quickly. Once you’ve killed enough Minotaurs and Praetorians below the boss will spawn. At this point switch to a single person shooting the boss with a sniper/heavy, and two lookouts that deal with the Minotaur. The reason for this is that only one person can safely stand on the ledge, that person should stand on the left side and snipe at the boss, once the bosses fire is damaging you, switch to the right side and snipe. You’ll still get hit but the boss must adjust aim and this buys you a few more seconds to snipe/shoot rockets. Make no mistake though he will hurt, and you will have to pull back and regen your shields. Having Defender Titans with the Blessing of Light buff from their Ward of Dawn that gives you a shield is useful here. But now back to the solo method. You will need to jump down and then immediately up to a ledge for safety else dodging six Minotaurs and Praetorians can be a bit hairy. The boss is just a matter of patience. First and foremost, ensure that you focus on the adds when they’re summoned! They will find an angle to get you otherwise, and the Hobgoblins will grenade you to death. Get rid of them as quickly as you can, then patiently wait for the boss to stop shooting where he thinks you are and pop out to snipe/shoot/rocket him a few times, then back into cover.